The 2013 Gazprom Swan 60 World Champion is Swan 60 Bronenosec, skippered by Vladimir Liubomirov. Vladimir Liubomirov commented: "The Gazprom Swan 60 World Championship was a highlight on the Gazprom Swan 60 Class Circuit this year, I greatly enjoyed sailing in the beautiful Solent for the first time in my life; it was incredible and I was deeply impressed by Cowes and its old sailing traditions. My acquaintance with British sailor Adrian Stead there is another highlight for me; we sailed together in Cowes and later he performed as the skipper of Swan 60 Tsaar Peter – the winning boat of the Nord Stream Race. There were really strong teams participating at the Gazprom Swan 60 Worlds this year, with outstanding sailors forming fantastic crews. Everybody I spoke to had enjoyed the brilliant performance of the Swan 60 boats. It was very important for our team onboard Swan 60 Bronenosec to win the World Championship, as we wanted to prove that we are a strong team and we also wanted to continue last year’s success. We did our best throughout the week and in my mind the World Champion title is well deserved, I had a brilliant crew and they more than deserve this win and title." The World Championship 2013 took place in Cowes, Isle of Wight, UK with five Swan 60 yachts taking part in the regatta. 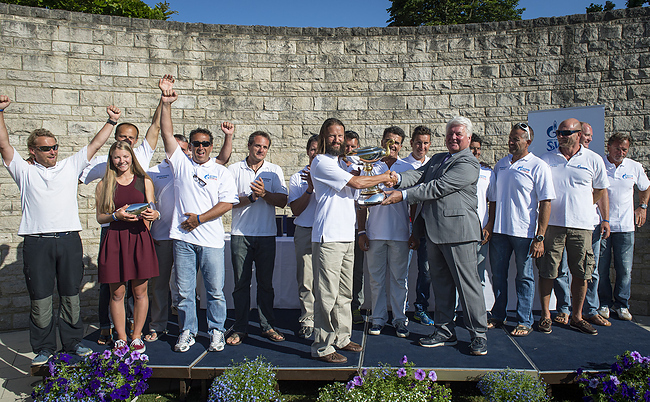 Bronenosec also won the Gazprom Swan 60 Class Circuit 2013.